Thank you so much for your astute insights! 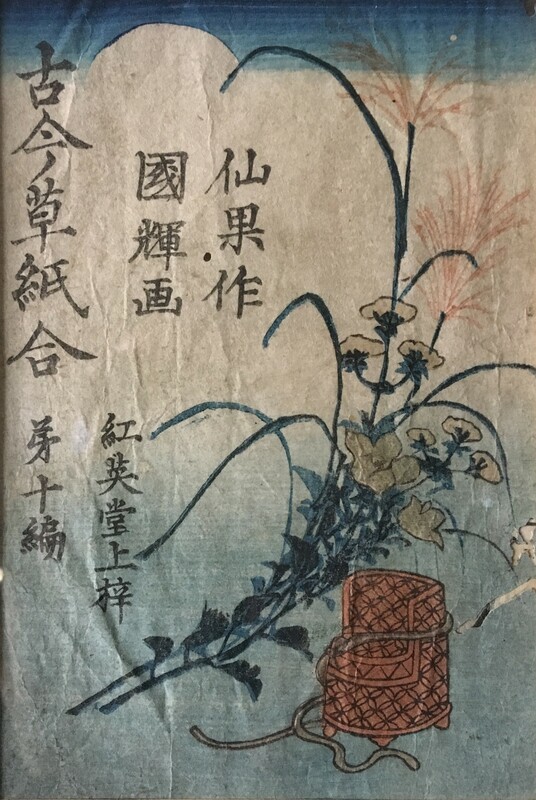 Not only have you given me corroboration of this being a Kuniteru print, but your idea of this being a book wrapper provides provenance not only to this print, but to another in my collection. On following your very helpful lead to the MFA collection, I was astounded to find in that book wrapper you chose, a close analog to this other print of mine, which I will post here. THANKS!